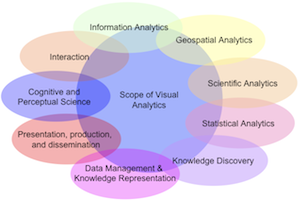 VisMaster is a European Coordination Action Project focused on the research discipline of Visual Analytics. The goal of this Coordination Action is to join European academic and industrial R&D excellence from several individual disciplines, forming a strong Visual Analytics research community. Who is involved in the VisMaster projects? Please refer to the partner’s page using the main navigation.